Marlowe Hapworth is found dead in his locked study, killed by an unknown assailant. This is a case for the Great Detective, Madame Vastra. Rick Bellamy, bare-knuckle boxer, has the life drawn out of him by a figure dressed as an undertaker. This angers Strax the Sontaran. The Carnival of Curiosities, a collection of bizarre and fascinating sideshows and performers. This is where Jenny Flint looks for answers. 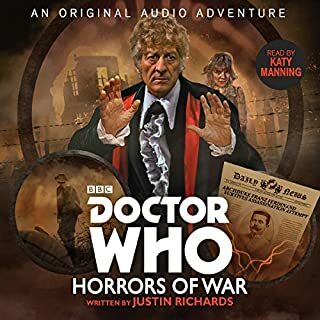 Justin Richards' thrilling new novel stars the Twelfth Doctor, as played by Peter Capaldi in the hit BBC TV series, and also features his friends Madame Vastra, Strax, and Jenny - the Paternoster Gang. 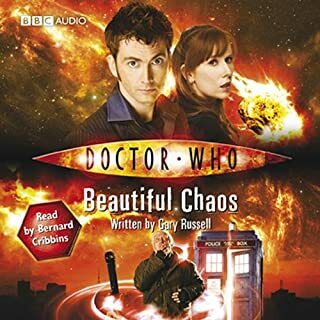 It is read by Dan Starkey, who plays Strax in Doctor Who. Reading produced by Neil Gardner. Sound design by Simon Hunt. Executive producer: Michael Stevens. Dan Starkey does a great job with Peter Capaldi's doctor. 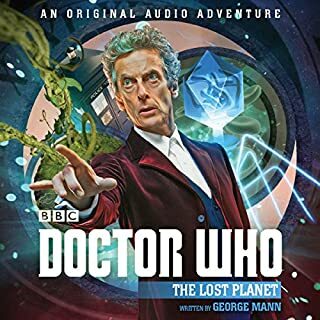 Both the writing and the narration do a great job with Peter Capaldi's doctor. Strax is great. The setting is really well done! The story is gripping. Really recommend this one. 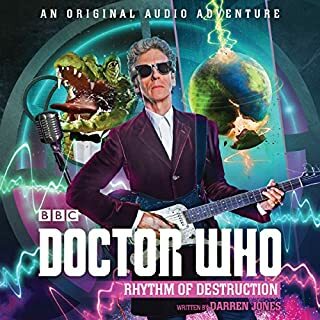 I'm so pleased that we finally have Twelfth Doctor novels. I'm still getting to know him and his character and it's nice to have extra materials that are so closely related to the season to work off of. So is it accurate to his personality? I'm not entirely sure yet, I'm still figuring him out and I may have to reread it to gain all the little nuances that I missed the first time. 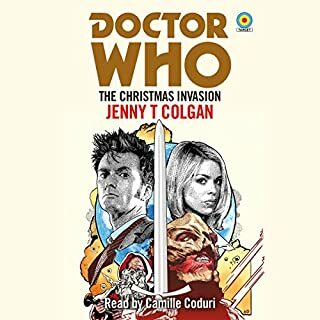 Dan Starkey was a brilliant narrator, and I'd listen to him again. All of his characters are very distinct and he captures their individual accents so well. He was very easy to listen to, easy to distinguish who was speaking, and he quickly became a favorite. The story here is very good, bringing in three of the most memorable recurring characters from the show and using them to their best potential. 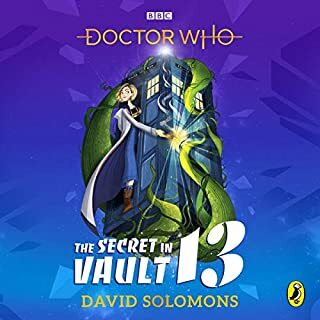 This sets a very high bar for other 12th Doctor books to measure up to, and I would listen to another narrated by Dan just based on this performance. 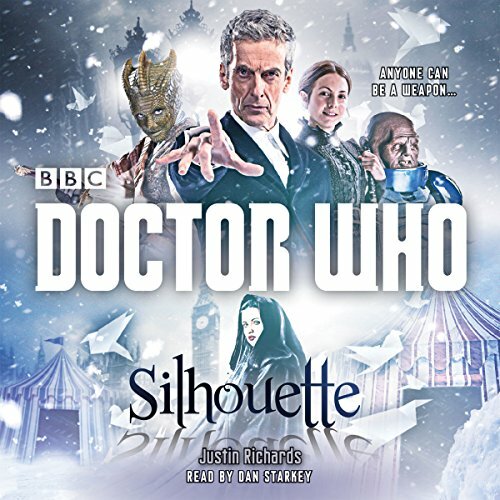 Many of the Doctor Who novelizations are hit and miss (some authors just can't capture the feeling of DW on paper), but in Silhouette, Justin Richards crafts an engaging and entertaining story that could easily be 10 times better than any of last season's episodes with the 12th Doctor. All the characters are well-written and believable. Without going into the plot, the story reminds me very superficially of "The Night Circus" by Erin Morgenstern. It's fabulous to see the Paternoster Gang in action again! 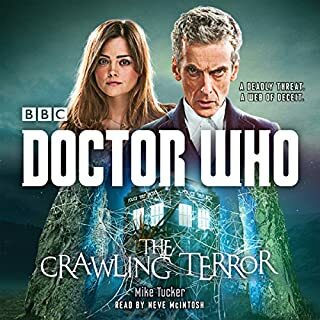 Dan Starkey (who is the actor who plays Strax, the Sontaran) is a delightful narrator who does all of the voices very well, but really floored me with a very believable Peter Capaldi. Strax is wonderfully drole in this story, and having Dan read his part made it just that much more fun! 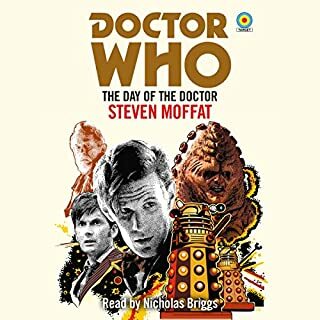 This is the 1st 12th Doctor novel I've listened to, and the best DW novelization I've read or listened to in quite awhile! 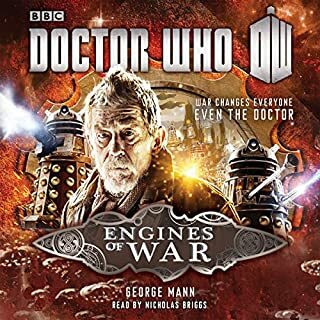 Engaging the Madam Vastra crew in the story more and giving a reason for their inclusion, along with a bit more thematic unity with the bad guy's tools. Would you ever listen to anything by Justin Richards again? Did Dan Starkey do a good job differentiating all the characters? How? He did a decent job. They were all recognizable and distinct. 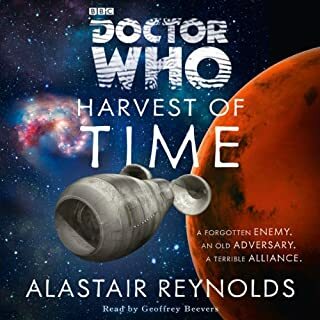 Strax was well-deployed, and the bit where Affinity tries and fails to charm the Doctor with different aspects of his personality was a fun salute to previous incarnations. 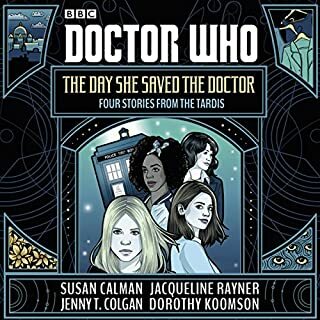 This whole story could be written without Madam Vastra et al and have minimal changes. 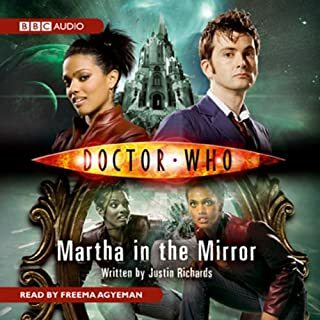 The author also seemed to erase Vastra's sapphic relationship with her maid, especially considering that Affinity presented himself as male to both of them. This guy can change his facial features, accent, age, height but can't alter his gender presentation? Also, the paper cranes didn't really fit in or add up. Another case of "psychic" being code for "like magic, but more nonsensical and narratively lazy". I can totally see this as an episode! Dan did a great job with the voices and is an amazing narrator. 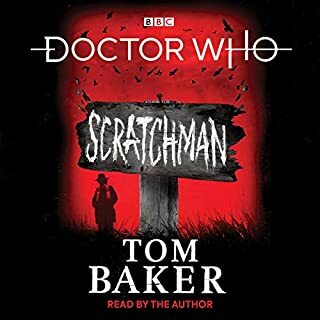 The story was a great mystery with a touch of creepy and lots of humor, which is something I expect in Doctor Who. I had to replay a few scenes because I couldn't hear the dialogue over my own laughter. Only problem I have with the story is Milton's cloud to make everyone kill each other kinda reminds me of Samuel L. Jackson's satellite in "Kingsman: The Secret Service" but that's just a nitpick and pretty much a coincidence. the narration is amazing! I would listen to all of this narrator's performances. & a good Dr. Who story. One of my favorites. Silhouette has quite a simple story, but never boring. It has quite a bizarre villain, which I kind of liked, even though he admittedly confounded me from time to time. 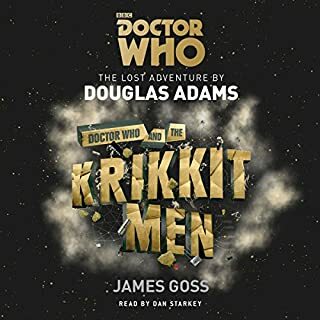 It is just very unfortunate that the Doctor stays somehow diffuse during the entire book. 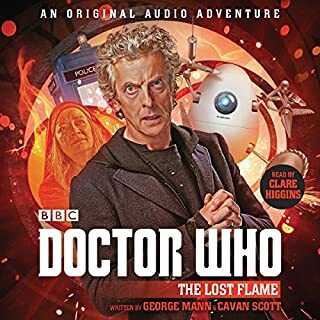 Again, I have to make allowances for the author that he had to write the novel without having seen one single episode while I now listened to it after watching the whole season plus “Last Christmas”. 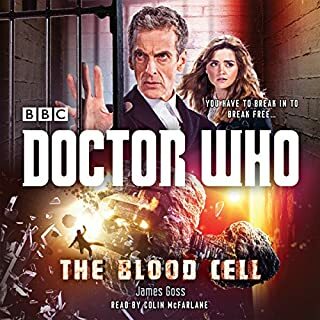 In comparison (I just finished “Blood Cell” as the last of the 3 novels) Richards does the poorest job characterizing the Doctor and especially Clara, who he should know for an entire season with 11. 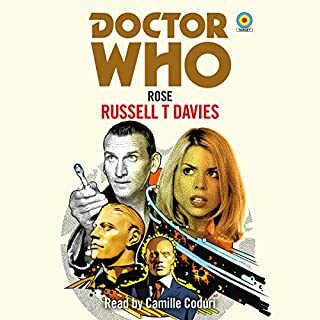 Nevertheless, it still is a very good Doctor-Who-novel, just nothing outstanding. Good standard, I heard (and saw) worse, so also the story earns in my ears a high rating. Dan Starkey of course is the cat’s pyjamas.